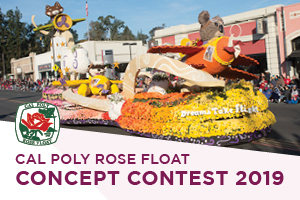 Rose Float is accepting submissions for the 2019 Rose Float Concept Contest through 5 p.m. Friday, Feb. 9. The winning concept will cruise down Colorado Boulevard in Pasadena as part of the 130th Rose Parade on Jan. 1, 2019. The theme of the 2019 Rose Parade is “The Melody of Life,” which celebrates the power of music and the culmination of rhythm and color. Read the complete Rose Float article here. The Dairy Judging Team won first place in oral reasons and fourth place overall in the All-American Dairy Show in Harrisburg, Pennsylvania. 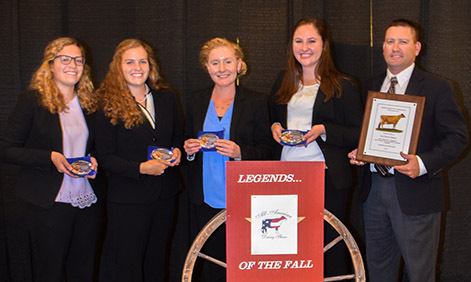 Fourteen teams representing the top dairy and animal science college programs throughout the nation competed in the Youth Judging Contest on September 18. Read the complete Dairy Judging article here. Cal Poly’s Concrete Canoe Team — and its canoe named Meraki — was named the national champion at the American Society of Civil Engineers Concrete Canoe Competition, held June 17-19 at the Colorado School of Mines in Golden, Colorado. Read the complete Concrete Canoe Team article here. The Cal Poly Rodeo Team has advanced to the College National Finals Rodeo in June in Casper, Wyoming. Read the complete Rodeo Team article here. A team of seven environmental engineering students won the Intel Environmental Innovation Award and $2,500 at the International Environmental Design Contest for their use of ion-exchange resins to filter metals out of storm water. 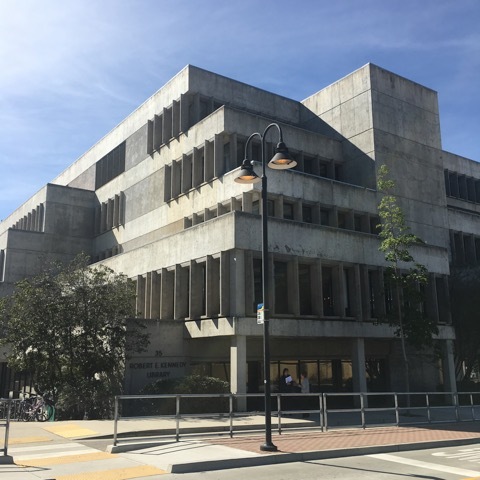 Read the complete Environmental Engineering Team article here. A mechanical engineering student team won the Best Paper/Presentation Award and placed third overall at the national Fluid Power Vehicle Challenge. Read the complete Mechanical Engineering Team article here.